AdvoWaste is Delaware's local alternative to professional, safe and reliable medical waste disposal services. We handle all types of DE biohazard waste and sharps removal for a wide variety of facilities. Our pricing is simple and straightforward. We have no long term contracts, hidden fees or surcharges. Our DE customers love our super flexible "on call" or set scheduled pickup options. We will work around your busy schedule. Call us for a quick, hassle-free quote now at (302) 203-6933. See how Advo Medical Waste Disposal beats the competition in Delaware. We guarantee to save you at least 30% off of your current local medical waste disposal service in Delaware. We will provide you with an accurate price with a quick over the phone quote. 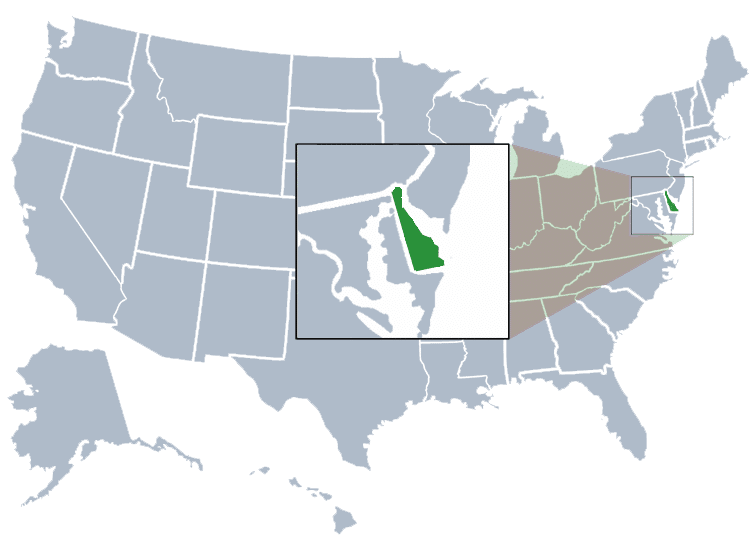 Delaware is a northeastern state which was named after Thomas West, Third Baron De La Warr, Virginia’s first governor. It is bordered by New Jersey, Maryland and Pennsylvania. Delaware is the second smallest state in the US, but the sixth most densely populated. Before the Europeans explored it’s coastline in the 16th century, it was home to several native american groups, including the Nanticoke and the Lenape tribes. Delaware was one of the thirteen colonies to participate in the American Revolution, and was the first state to ratify the US Constitution. The most populous city in Delaware is Wilmington. Wilmington is the fifth least populous city in the United States. Dover, the capital, is the second largest city in the state. Delaware is known as the “First State” due to being the first state to ratify the United States Constitution. The state’s motto is “Liberty and Independence,” which can be found on the state seal of Delaware as well as the state flag of Delaware. Delaware holds various records. The state is comprised of only three counties, fewer than any other state. In 1787, Delaware became the first state in ratifying the Constitution. In 1968, the Wilmington Riots that occurred following the assassination of Martin Luther King, Jr. resulted in occupation by the National Guard for ten months. This is the longest the National Guard has occupied a state. Delaware is approximately 96 miles long and ranges from 35 miles to 9 miles across. Some small portions of Delaware share land boundaries with New Jersey. Delaware has the lowest elevation of any state in the US, and is on a level plain. The population of Delaware is approximately 953,000 according to the US Census Bureau. The three most popular congregations in the state are the United Methodist Church, Evangelical Protestant and the Catholic Church. Delaware has the ninth-largest number of millionaires per capita in the United States. The state’s largest employers are government, education, banking, pharmaceutical technology, healthcare, farming and retail. In addition, Dover Air Force Base is a major employer in Delaware. The largest cities in Delaware by population are Wilmington, Dover, Newark, Middleton, Bear, Brookside, Glasgow, Hockessin, Smyrna and Pike Creek Valley. Wilmington, Dover, Newark, Middletown, Smyrna, Milford, Seaford, Georgetown, Elsmere, New Castle, Millsboro, Laurel, Harrington, Camden, Clayton, Lewes, Milton, Selbyville, Townsend, Bridgeville, Ocean View and more.